Transitions are usually difficult for many on the spectrum, and traveling is really a series of transitions. Preparing the person – child, teenager or adult – as much as possible will make any trip a more enjoyable experience for all involved. Some advance planning of specific steps of the trip can be made ahead of time. Below are tips for both preparing the person (1), and preparing the environment for a better travel experience (2). Buy some small, inexpensive toys or books that he or she can play with during the journey and that if you lose it will not be the end of the world. If he only plays with one favorite item, try to find a duplicate and see if you can “break it in” before the trip. Do not wash any items (including plush toys) before the trip as the individual may feel comfort in the “home” smell of his cherished item. Put up a monthly calendar with the departure date clearly marked, and have the person check off every day until departure. Bring the calendar with you and mark off number of days in one place or on the trip, always having the return date indicated. Put together a picture and word “travel book” of what means of transport you are going to be using to, who you are going to see, where you will sleep, and what you will do or see at your destination. Go over this with the person, like you would a storybook as often as you like in preparation for the trip. Using a three-ring binder is best, as you can add extra pages or insert the calendar mentioned above for use on the trip. Put together a picture or word schedule of the actual journey to take with you on your trip. Add extra pages to the travel book. Add Velcro and attach pictures or words in order of the travel sequence. For example, a picture to represent the car ride to the airport, going through security, getting on the airplane, etc. For car trips, pictures representing different stops on the trip and number of miles to be driven can be used. Add an empty envelope to add the “done” pictures when you have finished one step of the journey. Taking a short trip before attempting long voyages, if possible, is recommended. This will help the person get used to traveling and give you the opportunity to see plan ahead for possible areas of difficulty. Also, if you use the travel book system, it will help the person make a connection between the travel book and any impending travel in the future. Travel environments such as airports and train stations are areas that involve lots of waiting. Teaching the individual the “waiting” skill before traveling (if he or she does not already have it) will make your life and theirs much easier. Make or find a picture or icon that will represent “waiting” to your child, such as a line drawing of a “stick” person sitting in a chair, with the face of a clock next to it. Write “waiting” clearly on the card. Glue to cardboard, laminate it and place a piece of Velcro somewhere on it. Next, make sure you have picture of whatever items your child usually requests or wants immediately (favorite food, toy, ride in the car) backed with Velcro. The next time he or she requests the item, place the corresponding item on the Velcro strip on the Waiting board and say “We’re Waiting” and set a timer for how long you think the person can wait – for some this will be 10 seconds, for others a few minutes. When the timer goes off, immediately give the requested item, and say, “Thank you for waiting.” Do this, lengthening the amount of time the person needs to wait. Eventually, he or she will get the concept. When staying in a hotel, it is a good idea to call ahead and ask for a quiet room. You may wish to explain about the person’s behavior if there is a likelihood of him or her exhibiting them in the public part of the hotel. Same with a friend or relative’s home. It can be a bit disconcerting for everyone concerned if your child or adolescent takes his clothes off and races through your friend’s home stark naked. If you are traveling by plane, call the airlines as far in advance as you can, and tell them you will be traveling with someone who has special needs. Some airlines have “special assistance coordinators.” You may wish to explain about the person’s needs and some of the behaviors that may affect other travelers, such as rocking in their seat. If the person is a rocker, asking for bulkhead seats or the last row of seats on the plane will limit the number of fellow travelers that are impacted by the rocking. If you need assistance getting the person and luggage to the gate or to change planes during the trip, call ahead and reserve ‘wheelchair assistance.’ Even if the person does not need a wheelchair, this guarantees that someone will be waiting for you and available to assist you. (This was suggested to me by a special assistance coordinator when I told her that the help I had requested had not been provided on a recent trip). When requesting the wheelchair, you may need to explain about the person’s autism. For example, I have explained in the past that my son with autism had difficulty moving forward in a purposeful manner and we needed help to get to the gate to catch a connecting flight. 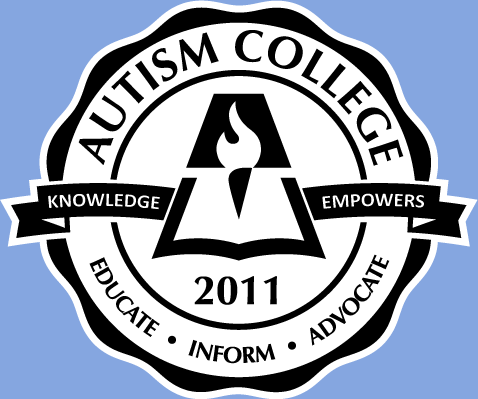 Persons with autism should always carry identification. Make sure he or she has an id tag attached to him or him somewhere, with a current phone number written on it. You can order medical bracelets, necklaces and tags to attach to shoe laces. Additionally, if the person can carry it in his or her pocket, make an ID card with a current photo, date and phone numbers. Be sure to put any information that is important to know such as allergies and medications, and any special information (i.e. non-verbal). Adult passengers (18 and over) are required to show a U.S. federal or state-issued photo ID that contains the following: name, date of birth, gender, expiration date and a tamper-resistant feature in order to be allowed to go through the checkpoint and onto their flight. Acceptable identification includes: Drivers Licenses or other state photo identity cards issued by Department of Motor Vehicles (or equivalent) that meets REAL ID benchmarks (at time of writing, all states are currently in compliance). Using many of the tips listed above has made traveling much easier for our family. Now, we look forward to any travel opportunity as we all enjoy the experience. A little planning goes a long way!